This stunning Marc Jacobs stainless steel watch is a timeless piece, ideal for the sophisticated woman. 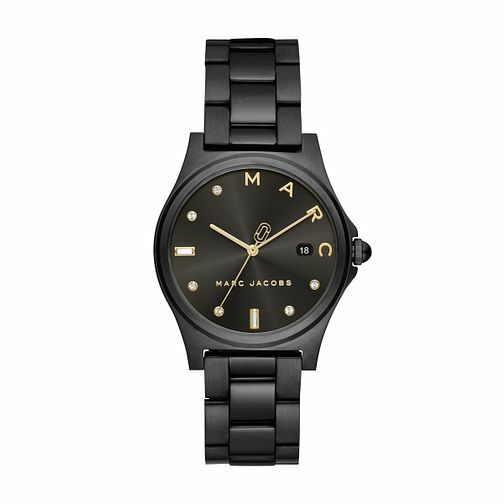 Boasting a striking matte black dial, and indexes which spell out "MARC." This understated yet stylish piece is guaranteed to turn heads.